If you've got more than one computer, it can be a huge pain to switch form one to the other. Between files, settings and apps, it can take a while to transfer everything—and if you're running different operating systems, it's even worse. A new feature on Windows 8 Enterprise editions eliminates this problem. It's called "Windows To Go," and if you switch systems a lot, it could be your new best friend. Windows To Go lets you create a portable version of Windows 8 that will run on any computer with Windows XP or higher, though the new release might only work on host machines running 7 or 8 now. The best part is that it keeps all of your documents and settings, so when you run it, it's just like looking at your main computer. 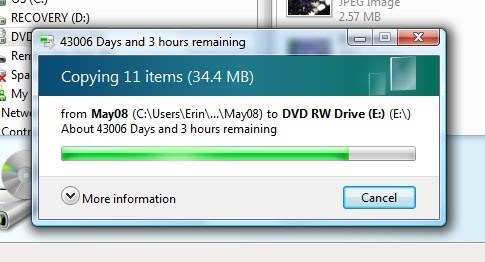 All you need to create your own is a computer running Windows 8 and a USB drive with at least 30GB of free space. Before you start, you should note that the installer will erase any data on your USB drive, so make sure there's nothing important on it. If you want to use it as a regular USB drive again later, it will need to be reformatted first. On the Control Panel, switch to small icons and you'll see Windows To Go at the bottom. Click on it, choose your USB drive and version of Windows, and click Next. Set a BitLocker password if you want, then click Create. A status screen will appear and from here, all that's left to do is wait. Once the installation is complete, you have a portable Windows 8 workspace that you can take anywhere with you. You can check out this tutorial for more detailed instructions and to learn how to reformat the USB drive when you no longer need it. Windows 8 not your thing? You can install Windows 7 or OS X Mountain Lion on a USB drive. You can also use a USB drive with your iPad or Xbox 360. Or why not make your own USB drive out of an old floppy disk or Hot Wheels car? Have you tried Windows To Go? Tell us what you think of it in the comments.